Conceived by Melbourne artist-educator Kym Maxwell, Objects of Longing is a multi-disciplinary project with students at Dandenong Primary School that investigates the relationships between play (personal collecting) and cultural production (institutional collections). Taking place over two school terms to allow for a broad engagement across various learning platforms (site visits, class work, workshops and assessments), Objects of Longing began in Term 3 2018 with a facilitated workshop at MUMA where Grade 3/4 students visited behind-the-scenes at the museum with curators and educators to learn about what museums collect and why. Following the excursion, students undertook a series of artist-led workshops back at school. These activities encouraged the students to research, develop and communicate their ideas about collecting and the role of collecting during playtime, with some students undertaking the task of being researchers, collectors, cataloguers and documentors in a temporary Museum of Anticipation. The creative outcomes of this stage, including artworks from the MUMA collection, student material responses and collecting paraphernalia, will be exhibited as part of Shapes of Knowledge at MUMA. In addition, during Term 4 2018 these same students participated in a series of workshops to develop a theatre piece based on the activities and outcomes of their work in Term 3. In collaboration with artists Daniel Jenatsch (sound), Georgina Criddle (writer) and Rebecca Jensen (choreographer), Maxwell and the students devised Objects are a Limbic System Embrace the Logic, a 30 minute live work that was performed to family and friends at Dandenong Primary School in late 2018. In February 2019, the cast of student performers will travel to MUMA to present their play to new audiences alongside Kym Maxwell's inclusion in the Shapes of Knowledge exhibition. Set in MUMA's Ian Potter Sculpture Court, the play captures the students' imagination and creativity in a delicate and magical configuration of dialogue, movement, costumes and props. Kym Maxwell is an artist concerned with the relationship between education and social space. With a long interest in childhood education and pedagogy, her projects harness participatory modes of practice and play. She is keenly interested in the notion of the ‘hidden curriculum’ and the kind of learning about society that occurs indirectly through the formal structures of learning. Maxwell believes in the importance of art in encouraging these kinds of unstructured, unexpected and at times entirely unintentional encounters with education. Her current interests are focused on theatre, storytelling and the political act of parenting. Maxwell’s work often links art institutions with communities in unexpected ways. She has worked as an Artist in Residence at Charles La Trobe College and Sophia Mundi Steiner School. She has also produced workshops with and for children at Melbourne Biennial Lab, Heide Museum of Modern Art, Counihan Gallery and Banyule City Council. During 2015 she collaborated with Joel Stern and Gerard Van Dyke from Liquid Architecture and KAGE to produce A Wharfie’s Story a 50 minute outdoor play with the Collingwood College Theatre Troupe. 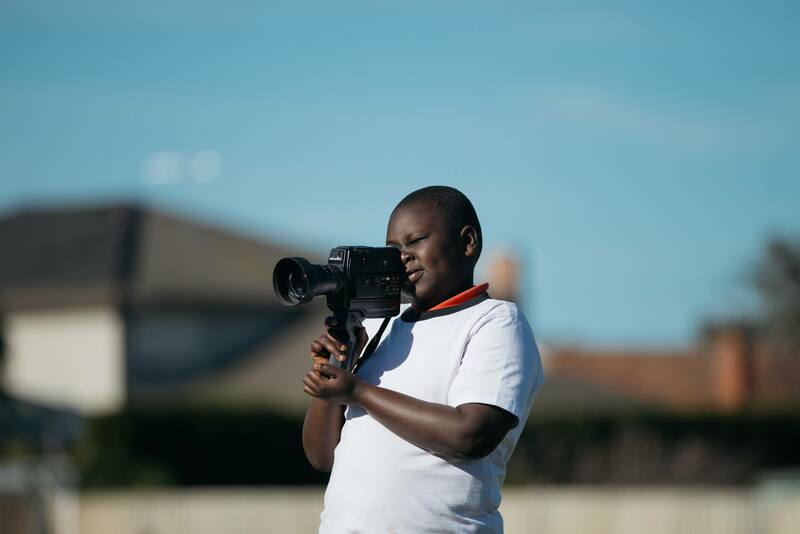 These programs were supported by the City of Yarra and City of Melbourne. Kym Maxwell is also a registered teacher through VIT with a current working with children check. She has extensive experience working in Victorian primary schools from 2008-16, including Fairfield PS, Brunswick East PS, Collingwood College and Spensley Street P.S. Prior to working in Australia, Kym was an ESL teacher in Taiwan and Japan from 2000-04. During her time in Japan she developed an early-years curriculum for a Reggio Emilia inspired International School in Tokyo. Kym Maxwell's project, Objects of Longing, has been generously supported by Gandel Philanthropy and Creative Learning Partnerships - A Victorian Government Initiative.